Here’s a nice quick, easy biscuit recipe. Combine the flour, baking powder, salt, ground black pepper and baking soda in a large bowl. Add the cubes of butter and mix using a pastry paddle attachment until the butter pebbles in the flour. Slowly pour the buttermilk into the mixer while it’s blending and mix at a low speed until a slightly moist dough forms. Turn the dough out onto a floured surface. Using the heels of your hands gently press the dough out until it’s 1″ thick. Use a 3″ ring mold to cut out your biscuits, do not twist the mold as it may effect how the biscuits rise. Take the leftover dough and once again gently combine it and press it out until it’s 1″ thick and cut out the remaining biscuits. Place the biscuits on a greased baking sheet, brush the tops with the melted butter. Bake for 15-18 minutes, until risen and lightly browned. 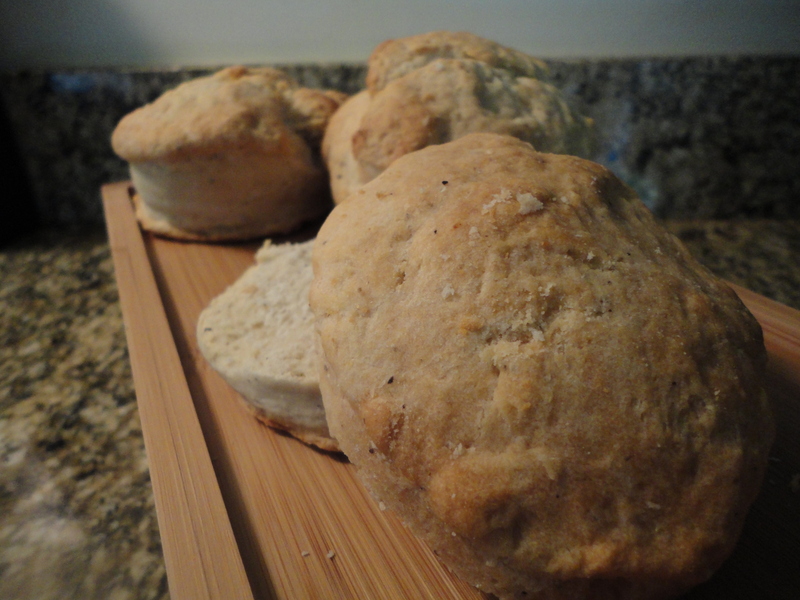 Tags: biscuits, buttermilk biscuits, perfect pairings, perfect pairings at home. Bookmark the permalink.